We specialize in Injection leveling of concrete. For over 40 years now we have been playing with mud. We specialize in Injection leveling of concrete. We do Basements, sidewalks, driveways, if it's no longer level we can fix it. In most cases we can give you a bid over the phone and are less expensive than replacing with new concrete. Call us for that bid and to schedule an appointment. 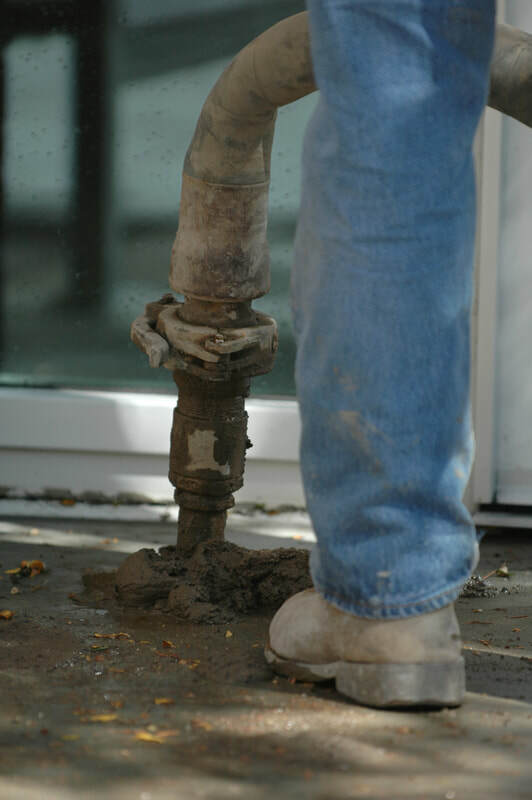 Mudjacking is a process used to fill voids underneath concrete. Whether the process is called slab jacking, concrete lifting, concrete leveling or void filling, mudjacking can repair your concrete at a fraction of the cost compared to replacement. A slurry mixture is pumped underneath concrete via hydrolic pressure to fill voids, correct negative drainage, remove trip hazards and even out concrete. 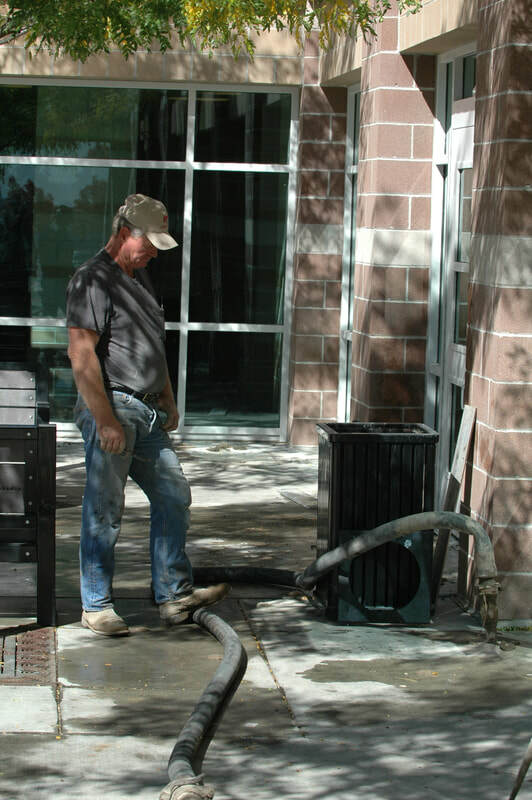 Mudjacking is one of the most effective and efficient methods to repairing concrete when it has sunk or is uneven. Mud jacking has become a very common repair method that has been used for many years. The concept of mud jacking is very simple, but should still only be attempted by professionals. The process requires specialized equipment and takes a trained eye to get the job done just right. Wonderful Job! My concrete was down inches in a lot of places. Ben came in and within a day we were level again. He was able to lift my front porch including about 2 inches on my front doorstep, he brought my garage up, problem areas in my basement and he also lifted my backdoor slab so the water will drain away from my house, I would recommend American Mudjacking to anyone."